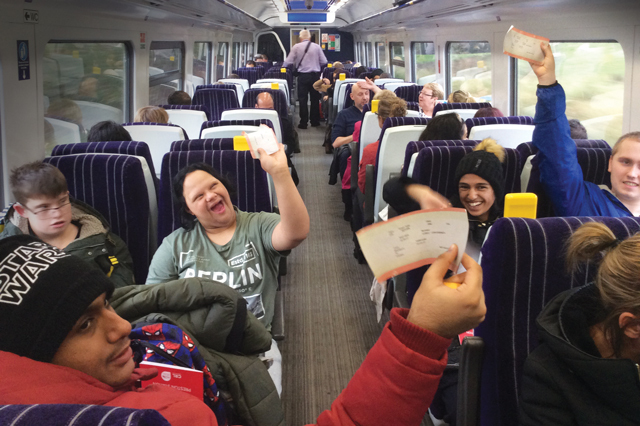 Community Rail Lancashire has won the ‘Most Creative Community Project’ award at the recent National Autistic Society’s Professionals Awards, for their Railway Confidence Programmes. The Railway Confidence Programmes provide railway confidence and work experiences for young people aged 4-18, aiming to engage them in the process of using, and ultimately working within, the railway industry. The Autism Professionals Awards annually recognise and reward services and professionals who are leading the way in innovative autism practice and making a real difference to the lives of autistic people in the UK.